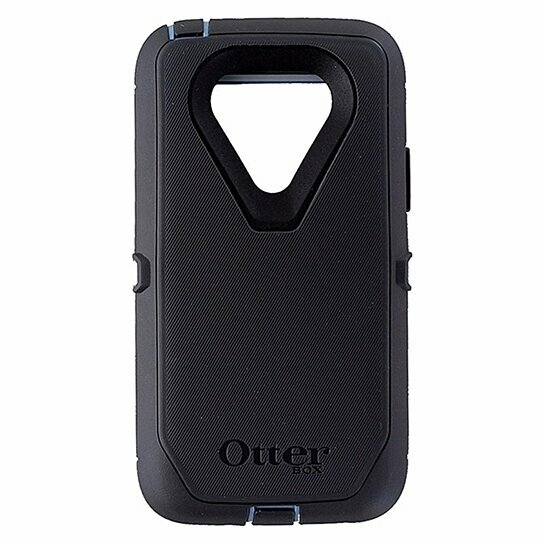 (Steel Berry - Whetstone Blue / Slate Gray)(Dull Light Blue / Dark Gray) The OtterBox Defender Series Case offers rugged protection for demanding environments, excessive use, and those random accidents that occur on your everyday activities. The Defender Case guards against a number of potential hazards to your phone and with its built in Screen Protector you do not have to worry about scratches on your screen. Protection from Drops, Impacts, Dust and Dirt that you can not afford to be without. The Defender Case is composed of 3 layers for stability and comes with a holster clip that doubles as a stand. A Trusted Brand sold by a Trusted Company. Copyright 2016 by Simple Cell, Inc.